When people with Alzheimer's or another kind of dementia fall, it's important that we spend time to determine the root cause for that fall. This process is called root cause analysis. Root cause analysis means to dig deep and attempt to determine the underlying cause of the fall. Once we identify that root cause, we can then figure out an appropriate intervention that hopefully reduces that chance that this person will fall again. 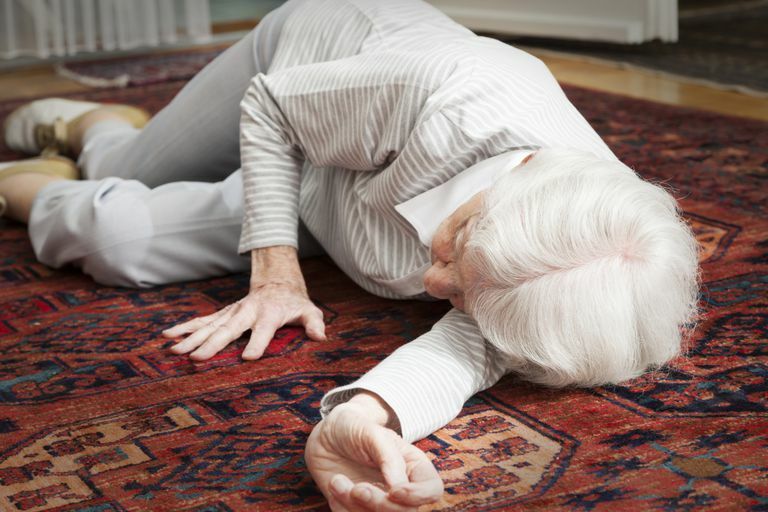 Root cause analysis is often used in acute care inpatient hospitals and in long-term care or sub-acute care nursing facilities; however, you can also use this approach at home to try to reduce falls in your loved one for whom you're caring. Those living with dementia have a higher risk for falls, often due to poor visual-spatial abilities, impaired judgment, impulsivity or a decline in walking and balance. The root cause, however, often goes deeper than those contributing factors. Root cause analysis asks the questions of "What? ", "How?" and "Why?" repeatedly until we drill down to the primary cause of the fall. Additionally, some experts recommend the "5 Whys" approach, which is asking the question "Why?" five (or more) times about the different pieces of information, such as the location of the fall (Why there? ), the environment surrounding the fall (Why was the floor wet? ), the possible reason that the individual was walking around (Why was he headed across the hall? ), etc. Some experts also recommend using a root cause analysis method called the fishbone diagram. This tool is a visual organization of the information collected about the fall. For example, the fall would be stated by the fish's mouth, and the bones coming out of the spine of the fish would be where you would write out all possible causes of the fall in the appropriate major category in which they fit. Visually diagramming the fall and the situation surrounding the fall can be helpful in identifying the root cause. John is a 82 year old resident of the secure dementia unit in a long term care facility. He was moved there because he was wandering into other residents' rooms and because staff had determined that he would likely benefit from the activities that target his mid-stage dementia. However, he has fallen twice in the last week. Why did he get up? Has he become weaker lately? Did he lose his balance? Did he bump into something? What clues can we gather from his body language and facial expressions? Did we ask him why he got up? Did he need to use the bathroom? Did he need to stretch his legs? Has he been sitting too long? Does he become restless at the same time every day? Was the environment too noisy? Did he have proper fall precautions in place, such as his walker within reach? Has his medications been changed recently? Could they be contributing to his falls? Were any other residents around or near him when he fell? Did he trip on something? Was the floor wet or recently waxed? Did he have his glasses on? Does he show any signs of a urinary tract infection? If, for example, John bumped into something, you need to ask "Why?". If you have determined that he is weaker now than he used to be, ask the "Why?" question. If he appeared restless, ask "Why?". Your answers to these questions will help you determine if John simply was restless and needed to walk around, if John was bored and was looking for something to do, or if he had declined and become weaker. Note that environmental factors also need to be considered even if they aren't always the root cause. If John fell on the floor that was just mopped, the wet floor contributed to his fall. But, we still need to consider why John was getting up or where he was going. Was he headed to use the bathroom? Or, was he hungry and looking for a snack? The answers to the questions above help us identify what kind of intervention will be the most effective in preventing future falls. If we've concluded that John was hungry and looking for a snack, our intervention should relate to that issue. We could decide to offer John a snack at 2:00pm if his fall was at 2:30pm. Or, if he fell because he lost some strength, we could provide some physical therapy after determining that his weakness may be related to his recent illness. The key is to implement the interventions that truly address the underlying cause of John's fall so that we are hopefully eliminating the trigger, and thus the next potential fall. While there are often multiple factors that may have contributed to the fall rather than one simple root cause, the process of deliberately asking questions and applying related interventions is often effective and can decrease falls. A decrease in falls can help maintain quality of life and overall functioning. Windsor, J. Portsmouth Hospitals. Root Cause Analysis: Guidance for Falls Link Champions. September 9, 2014.